Experience beyond Angkor Wat and other famous temples. Bike away from tourists into Siem Reap’s rice fields and mingle with local basket weavers, rice wine makers and villagers at a local market. 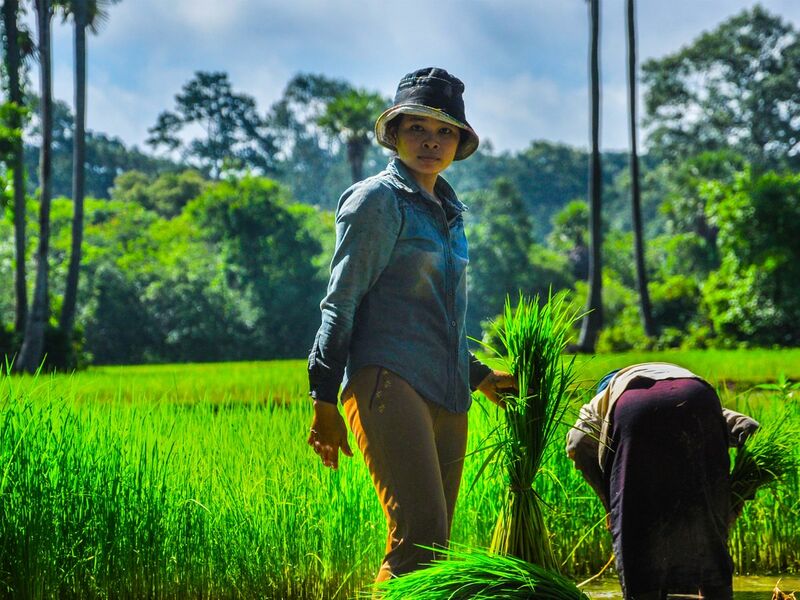 Our tour begins with a bike ride to Siem Reap’s sprawling paddy fields, where your guides will introduce you to the day-to-day routines of local farmers. Our third stop will be at a bustling local market, where you will be able to take in the sights and sounds of locals buying and selling produce. Discover local products not found anywhere else in the world! On our final stop, we will take you to a local rice wine distillery. Here, you will learn more about the processes involved in the making of rice wine as well as its use in holistic medication. This trip will make you experience Siem Reap beyond its temples and numerous tourist attractions. On this tour, our tour guides will take riders off the beaten track to local villages of Siem Reap. It is totally local as the visiting places are all local activities and tourists are given more experience to engage closer to everyday life of the villagers. There is completely no boring traffic to avoid as the village is very local and tourist could spend out their relaxing wipe from temple visiting. Most of the day, you will just see the smile of joys and friendly kids on the way of biking. Comfortable cycling shoes, Sunglass, Sunscreen, Camera, Short and T-shirt but cycling clothes is appreciated! My husband and I did the Off the Trail morning bike ride and it was wonderful! Butterfly Tours was a very well run company, they picked us up at our hotel on time, and took us to get fitted for bikes at their store. The guys who work at the store are soo nice and friendly and very helpful with fitting your bike and helmet. The day was very hot so bring a lot of water and it’s rougher terrain that you’ll be riding on but it was all part of rhe experience. We were very happy to see areas outside of the city. Our favorite stops were the village and the alcohol distillery. Our tour guide was the best! Ratana was so knowledgeable and made us feel comfortable the whole trip. He took pictures for us and got us water bottles when needed. We had really great convos with him about Siem Reap and Cambodia.